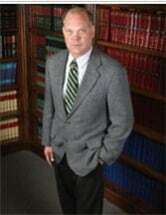 James M. Burns is a member of both the Alabama Bar and the Florida Bar and is licensed to practice law in both states. Mr. Burns was born in Mobile, Alabama, and grew up, lived and worked in Escambia and Santa Rosa counties, Florida, and Baldwin and Mobile counties, Alabama, all of his life. Mr. Burns graduated in 1995 from the University of West Florida in Pensacola, Florida, with a degree in legal administration, and received his Juris Doctor degree from St. Thomas University School of Law in Miami, Florida, in 1999. James M. Burns has dedicated his legal practice to representing criminal defendants and protecting their constitutional rights. Mr. Burns has appeared in numerous local and state courts in Escambia and Santa Rosa counties, Florida, and Baldwin and Mobile counties, Alabama, and he is well-acquainted and respected by the judges in those jurisdictions. He has successfully represented thousands of clients throughout Northwest Florida and Southern Alabama and he can do the same for you.